Applications from scholars working in IICSI’s principal research areas are encouraged: music, cultural studies, creative technologies, political studies, sociology and anthropology, English studies, theatre and performance studies, French studies, law, philosophy, and communications. Applications from other research areas are also welcome, with preference given to research that has a direct link with the social, cultural, or political implications of improvised art practices. Applicants are invited to submit a research proposal focusing on the social implications (broadly construed) of improvised artistic practices. Successful candidates will be chosen based on a rigorous application process, with IICSI’s management team serving as the selection committee. Criteria for selection are the quality and originality of the proposed research, the fit with our institute’s overall mandate and objectives, the candidate’s record of scholarly achievement, and her/his ability to benefit from activities associated with IICSI. Postdoctoral fellows will be eligible for competitive research stipends, logistical assistance for relocation, office space equipped with computers, access to the services of the host institution (library, etc. ), and administrative, placement, and research assistance as needed. In return, fellows are expected to pursue the research projects submitted in their application, to participate in the Institute’s research and community-engaged activities (colloquia, seminars, partnered projects), and to present their work in progress in the context of the Institute’s seminars and workshops. Applicants should have completed a PhD at the time of application (to be conferred by November 1, 2019). Please note that we are unable to provide individual feedback to candidates not awarded fellowships. 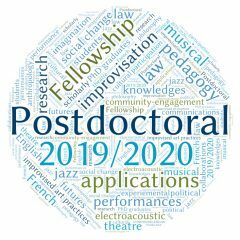 Download the Postdoctoral Fellowship Program 2019-2020 call for applications as a PDF. For more information see our Postdoctoral Fellowship Application Frequently Asked Questions page.